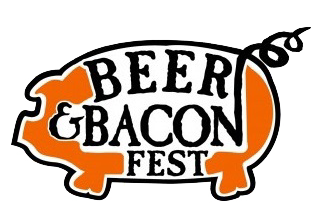 The Festival is an ALL-YOU-CARE-TO-TASTE extravaganza complete with the best craft beers for your tasting pleasure…..paired with the food of the Gods: BACON. Guests enjoy a souvenir glass plus 75+ of their favorite international beers and wines paired with delicious bacon dishes (VIP tasting included, general admission is alacarte.) The VIP Deck will host over 15 restaurant tasting stations featuring the BEST restaurants in the Triangle will be on-hand vying for the $500 Best Bacon Dish Prize and specialty tastes and beers throughout the day. There will be over 2 tons of gourmet bacons from all over the country will be griddled on-site (until 3pm). The Main Stage will host live music all day along with a Butchering 101 class. All of this plus fun foodie exhibits and so much more!